One thing I have come to love is our sensory table. I have said it before and I shall say it again. Best thing we have made so far for Elliette. It was super cheap because we used stuff we already had in the shed and the bin that goes in it was only about $4. I find myself not buying a lot of toys. She gets a lot of toys from my little sisters and from other holidays. But, I do find myself always looking for a bargain when it comes to creating new sensory bins. 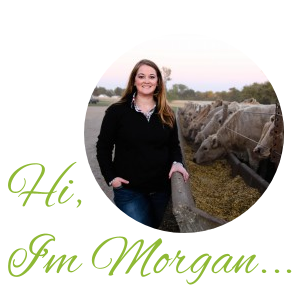 I do a lot of shopping in my craft supplies, Dollar Tree, our feed store in town, and our grain bins! Millett is pretty inexpensive and you can probably get it wherever you can buy birdseed. 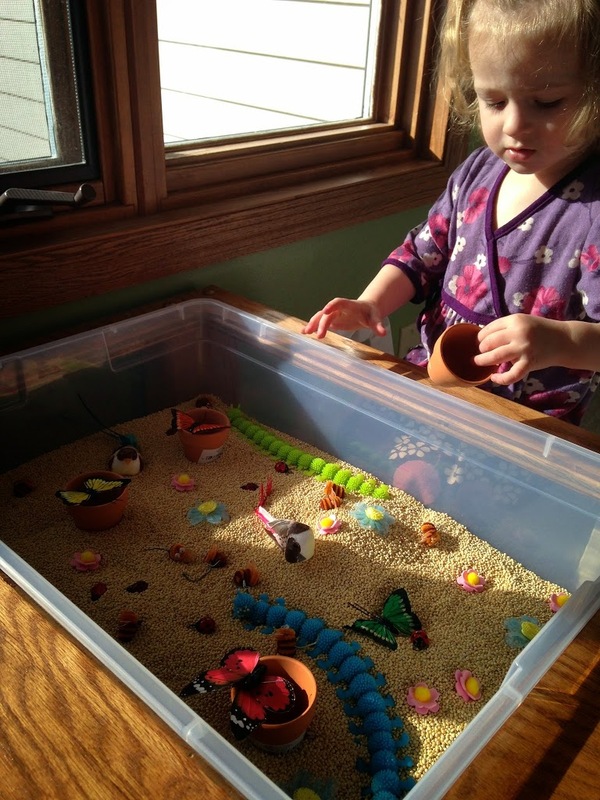 It is a great sensory bin filler, one of Elliette’s favorite. Now, this doesn’t bother me. I mean the sensory table is in the playroom, on carpet. What do you expect, right? My husband on the other hand cannot stand it. 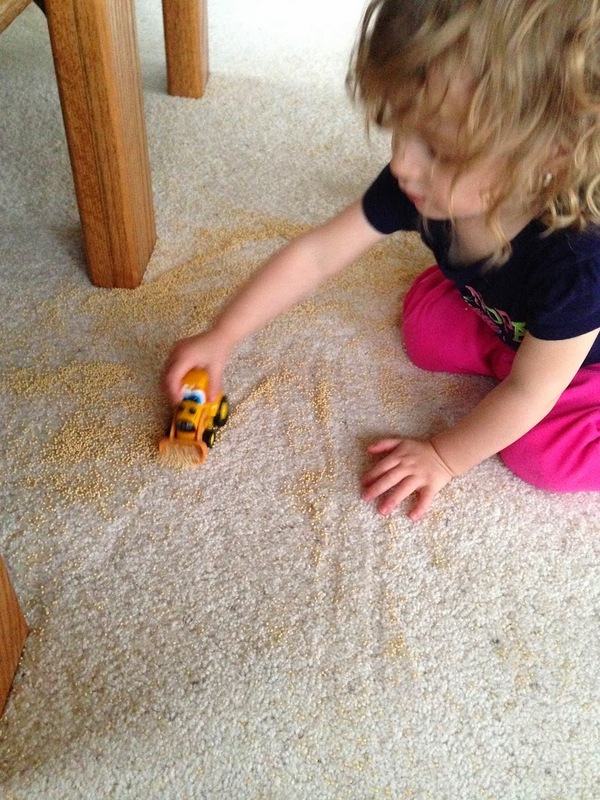 However, I do a really good job of keeping everything cleaned up and it’s much easier to make piles on the carpet with your pay loader. I have decided sensory play is on of my favorite “toys” ever. And still our most loved and used “toy” item in the playroom is this table! Anyone else in love with sensory bins and want to share their ideas?